The counts will take place on Friday 3 May, beginning at 10 am. When they have been concluded the results will be available on the WODC website: www.westoxon.gov.uk/elections then follow the links to the results page. 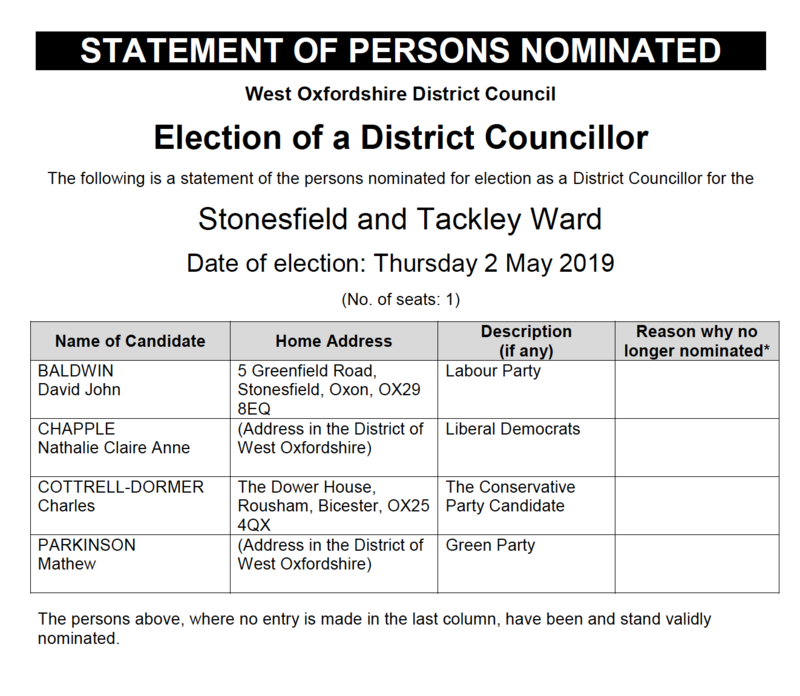 Also the attached document consists of the “Statement of Persons Nominated” for each of the 16 Wards of the West Oxfordshire District in which there are elections on Thursday 2 May.